Superman might well save a plummeting plane and the hundreds of passengers on board as it falls towards a fiery end, but I would hate to employ him. He might be the only hope to rescue a kidnapped child, or to prevent a loose platform from crushing a Maltese Poodle, but I would hate to be in a relationship with him. And that’s not (only) because he wears lycra at any given opportunity. His boss at the Daily Planet can only be enormously frustrated. Every time something important happens, the man seems to disappear. His girlfriend has no idea who he really is and no doubt senses that he is hiding something or someone major from her. Not only does he have a secret wardrobe, but he keeps running off in the middle of dinner. It might be that no one wants to see me in Spandex, but there is still no chance that I would get away with that behaviour. Not for a day. Yet to many of us, Superman remains the embodiment of all that is good. He fights the forces of evil no matter the personal cost and does whatever it takes to make the world he lives in a better place. As a result, we ignore his unethical business practices, we turn a blind eye when he refuses to be honest with his significant other and we continue to hold him in high regard. Our need to live in a binary world constantly trips us up. We know in theory that one is not all good or all bad. We are aware that bad people do some good things and good people do some horrible ones. You might hate US president Donald Trump, but it doesn’t mean that he does nothing positive. You might adore him, but that doesn’t mean that he does no wrong. South Africans are not immune to this. The death of Winnie Madikizela-Mandela brought to life the imperfection of Nelson Mandela. He was human and he was flawed as indeed is everyone, including Superman. But he is no less a hero. 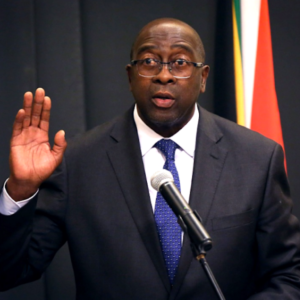 All this makes the discussion around finance minister Nhlanhla Nene more relevant. South Africans owe him immense gratitude for turning his back on corruption. But for his integrity, he would have remained in the position and we would have most likely been none the wiser. The process of meetings and pressure must have been immense and lonely. He was Superman and we didn’t know it. But he also kept significant things from us. He told us that he only saw the Guptas at public events, whereas we now know that he went to their home over and over again. Why he did not disclose this at the time is a question we can only ponder and might be a question that will never be answered. As uncomfortable as this might be, we will ultimately need to accept that we are all flawed. Most of us, deeply. In a world that electronically records everything, we will no longer be able to delude ourselves that perfection exists. We will have no option but to make peace with the notion that there is not a man or woman on this earth who does only good or only evil. Be it Superman or Nelson Mandela or Donald Trump or Nhlanhla Nene. Only then will we have to decide what we are prepared to live with in politics, in business and in our personal lives. There might have been a simpler time. A time where the world could be divided into “Goodies and Baddies”. An uncomplicated time where it was clear that the Nazis were evil, and the Allies were virtuous. Or perhaps it is only the perspective of history that affords us this luxury. I am upset that Nhlanhla lied to us. I am disappointed that he didn’t trust us to tell us the truth. But I remain deeply grateful for what he did. I sincerely hope that history is kind to him. This article was first published on News27.com.